Malta , March 20, 2008 – Red Herring today announced that Zweitgeist GmbH with its social software weblin was named a Finalist of Red Herring 100 Europe, an award given to the top 100 private technology companies based in the EMEA (Europe, Middle East and Africa) region each year. Red Herring’s lists of top private companies are an important part of the publication’s tradition of identifying new and innovative technology companies and entrepreneurs. Companies like Google, eBay, and Skype were spotted in their early days by Red Herring editors, and touted as leaders that would change the way we live and work. Red Herring’s editorial staff rigorously evaluated several hundred private companies through a careful analysis of financial data and subjective criteria, including quality of management, execution of strategy, and dedication to research and development. 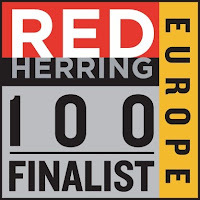 Red Herring will honor the Red Herring 100 Europe Finalist companies at its Red Herring Europe 2008 event. Scheduled for April 14-16, at the Westin Dragonara Resort, this intimate, three-day event is themed “The Pursuit of Disruption” and will explore how European firms are leading the charge in many technology sectors, gaining the competitive advantage, and driving entrepreneurial success in ways that create business opportunities for challengers and incumbents alike.